Holiday Giveaway! 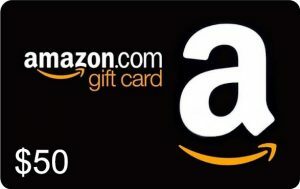 $50 Amazon Gift Card for your Referral! Hey Everyone!! Hope you are all enjoying the Fall season with your families! I wanted to take a moment and share my amazing special that I will be running for the month of November! I’m always about giving back and feeling very thankful for all my clients and support over the years! Sooo I’m giving a $50 Amazon Gift Card to everyone who refers a new potential client to me! This is my way of saying Thank You!!! 1) The referral gift card giveaway is NOT valid for mini sessions. 2) After you refer someone you must then email me at capturedbymatt@gmail.com with the subject “REFERRAL” and give me the name of the person you have referred. The referred client must also confirm that you have referred them to me. 3) The $50 Amazon Gift card will be sent to your email the day after the session takes place.